Leaves your face refreshed, not dry and irritated. Contains Avocado Oil, which sets up the beard for close, comfortable shave. 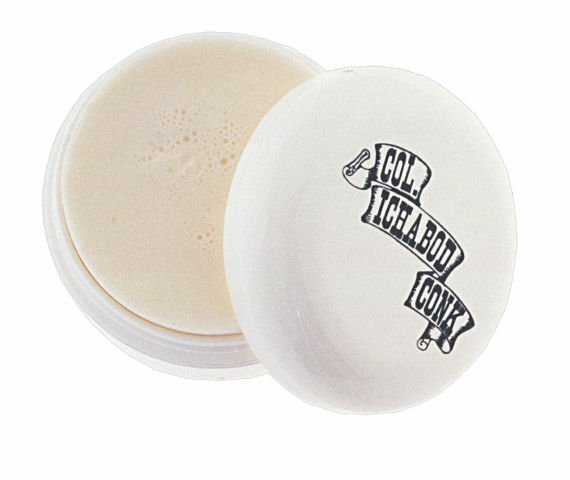 Once you use Conk soap you will use no other. Refreshing soap in watertight container with screw-down lid, easily washes off after finished, packs in any travel bag. Available in Almond, Bay Rum, Glycerine and Lime. Choose your preference from the box to the right.